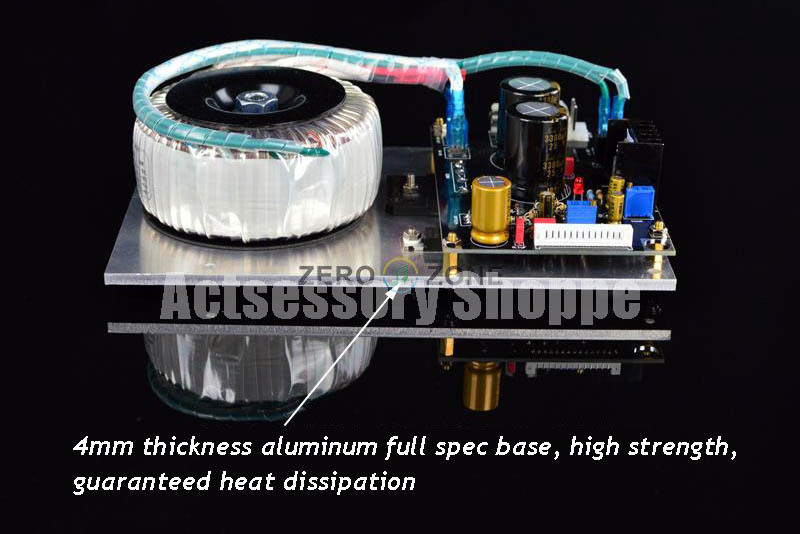 Non-Destructive-Modification of Linear Power Supply UPGRADE! OPT: Digital SILVER Version available!! 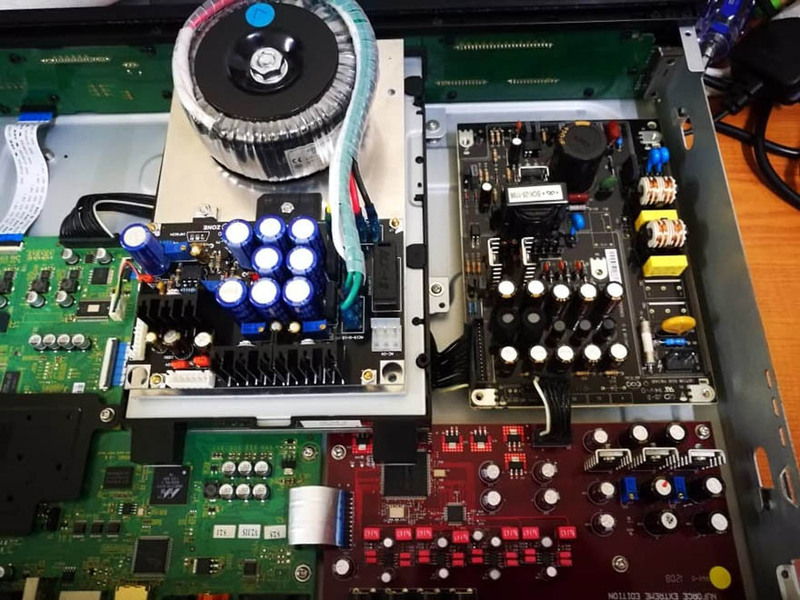 Zero-Zone is committed to developing a dedicated HiFi grade linear power supply upgrade. 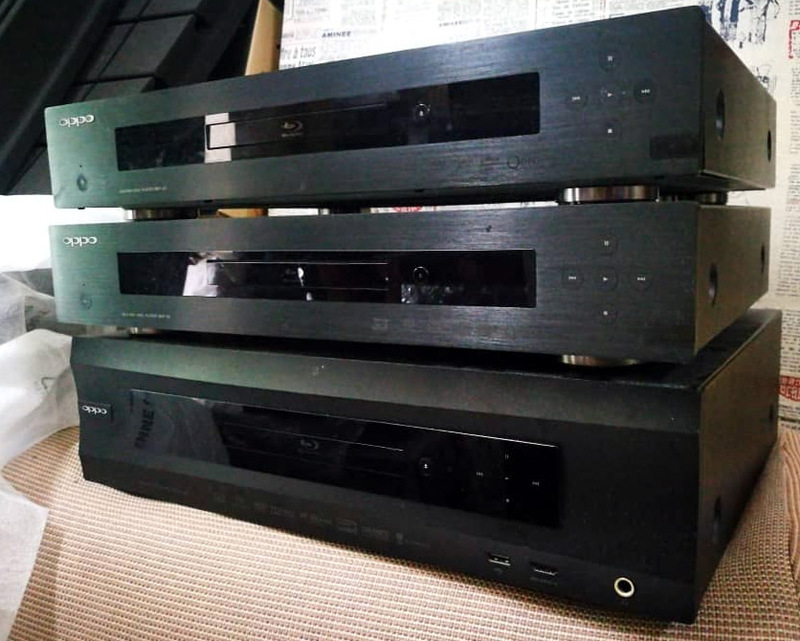 Based on the serious HiFi grade components for audiophile as well as videophile performance. 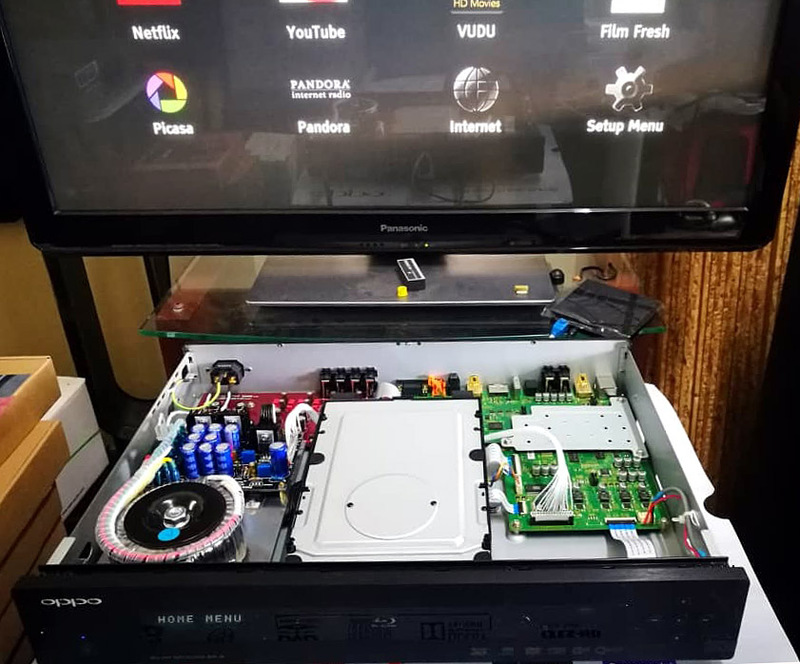 Oppo, and most dvd/bluray players stock power board is of SMPS (switch-mode power supply), due to their efficiency, low cost and ease of manufacturing. 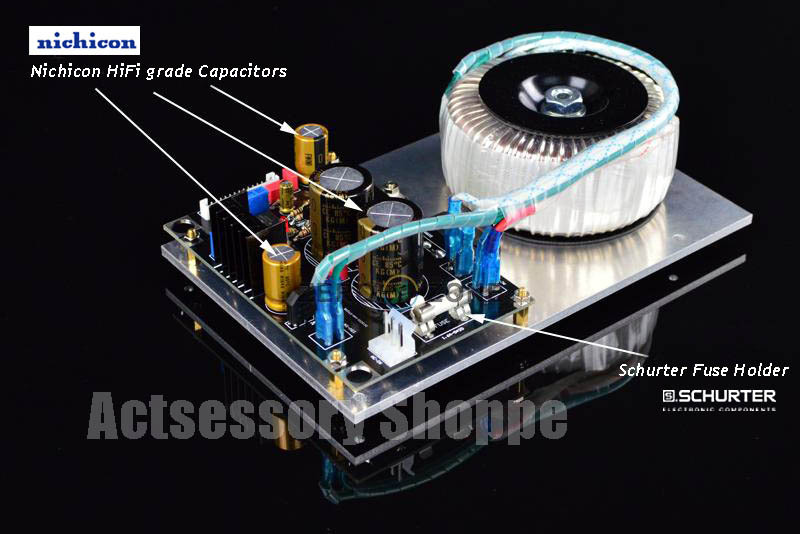 SMPS provides high current, low and multiple voltages easily and cheaply. They generate a lot RFI (radio frequency interference) at the switching frequency of the supply. 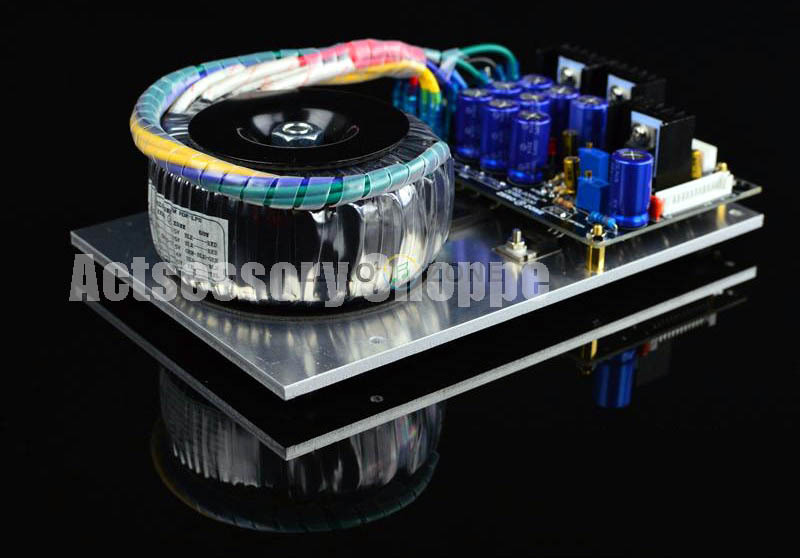 Linear Power Supply provides clean constant voltage and stable current at the output stage. 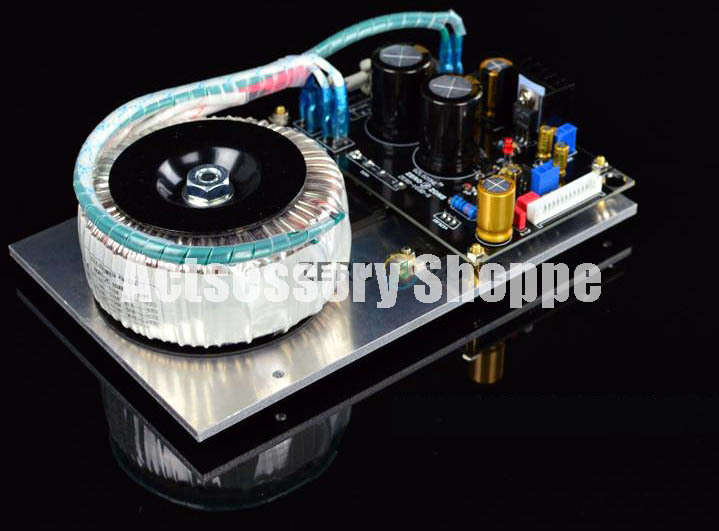 It provides isolation between the output and input because of the toroidal transformer. An instant performance upgrade solution. 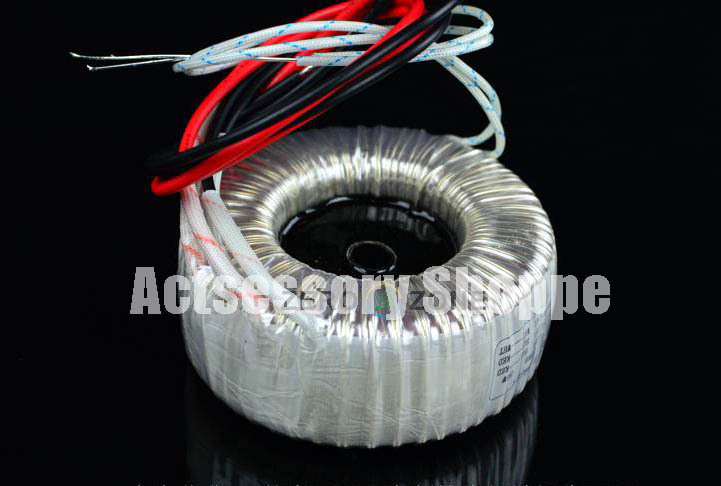 A 50VA pure copper toroidal transformer tailored specifically for 103D / 103 /93, optimized for low frequency density, strength and depth. 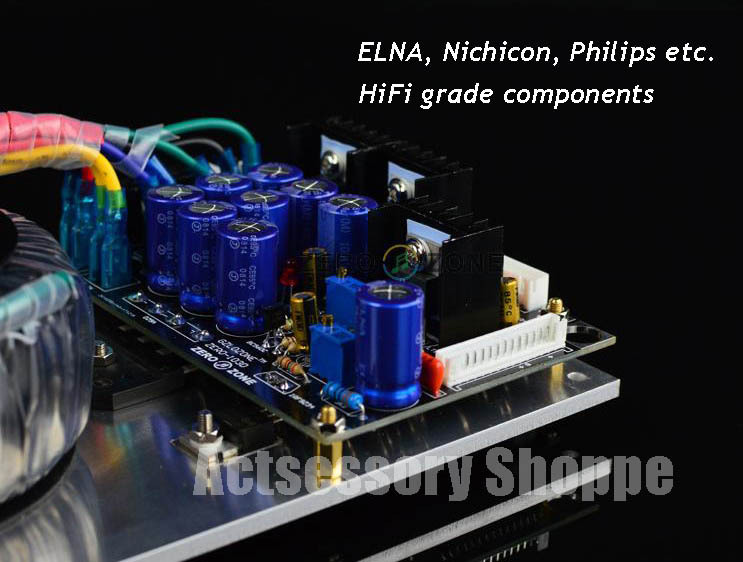 Build of ELNA, Nichicon, Philips etc capacitors structure array involved in the performance tuning. 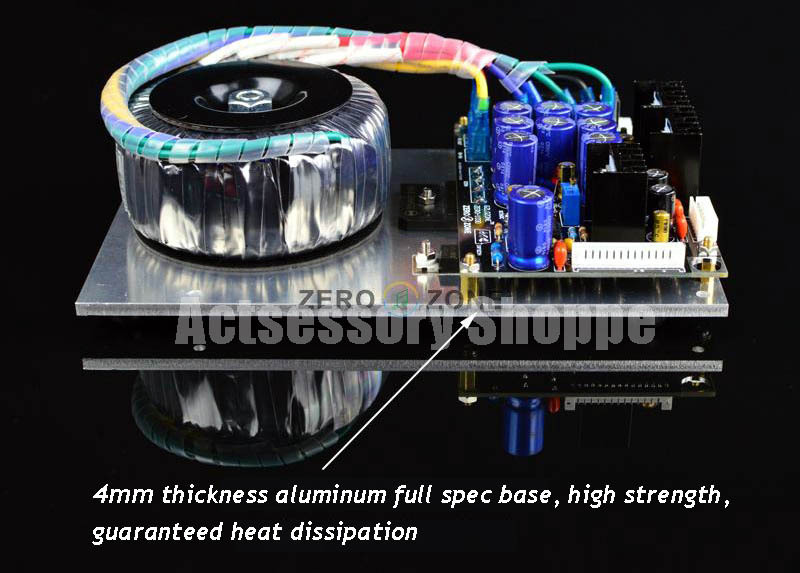 4mm thickness aluminum full spec base, high strength, guaranteed heat dissipation, relatively to the bearing of just PCB board. Schuter fuse folder for fuse changing to personal preferences. 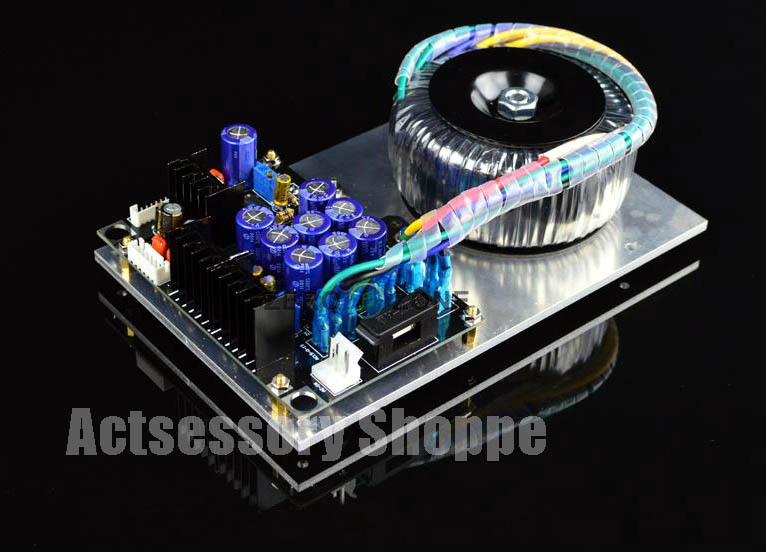 Contributes outstanding processing power, constant voltage, stable current to your player. 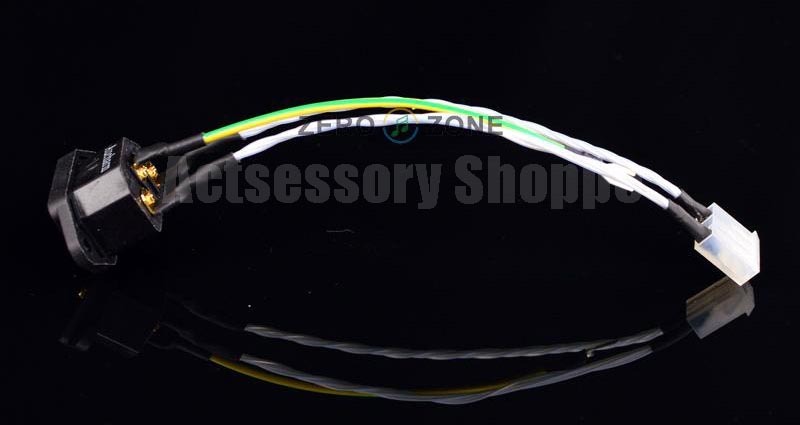 AV-phile grade components with meticulous craftmanship. 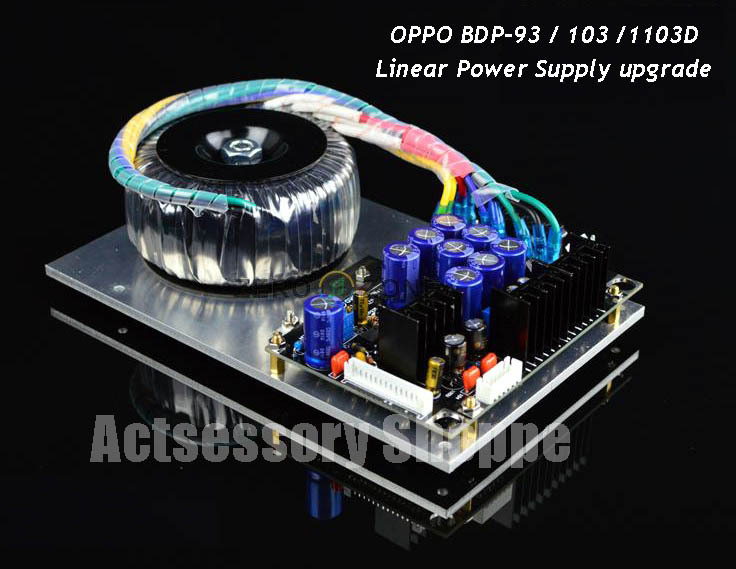 Specially developed for Oppo BDP-103D / 103 / 93, non-destructive modification of Linear Power Supply upgrade. 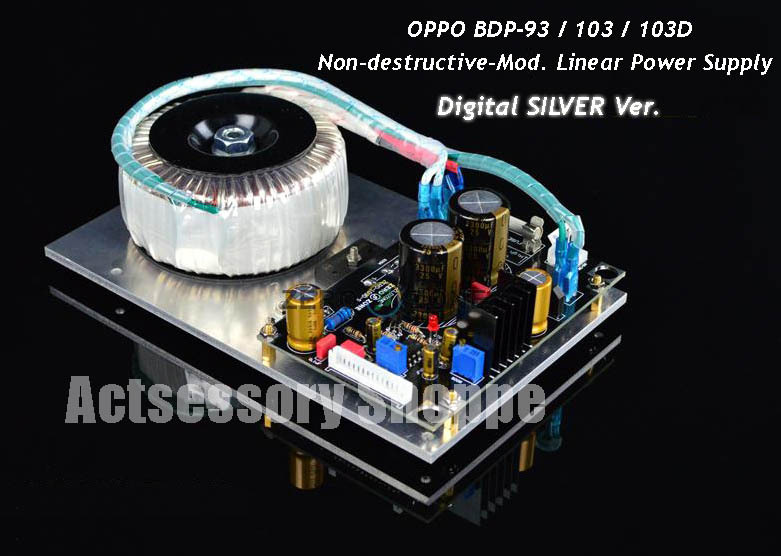 This digital silver version is more inclined to digital circuit optimization. Secondary direct leads output to the power board. 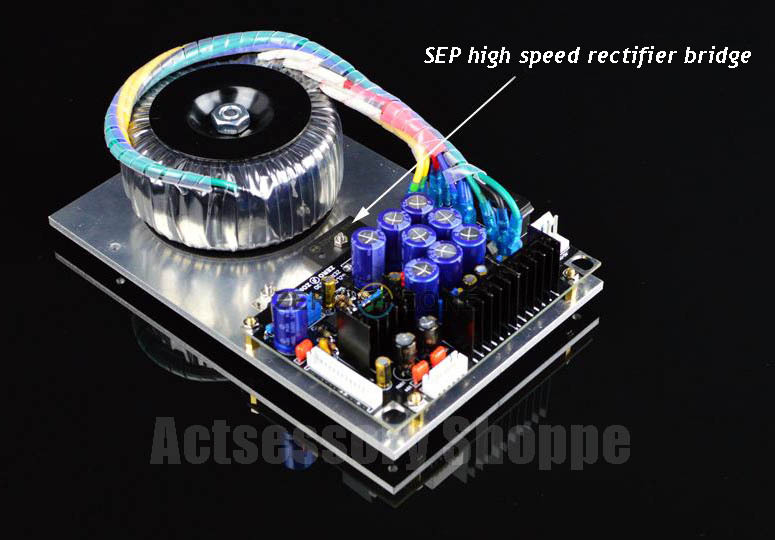 High precision, ultra low ripple wave resistance, high speed stablized power supply module - specially tailored for digital circuit. 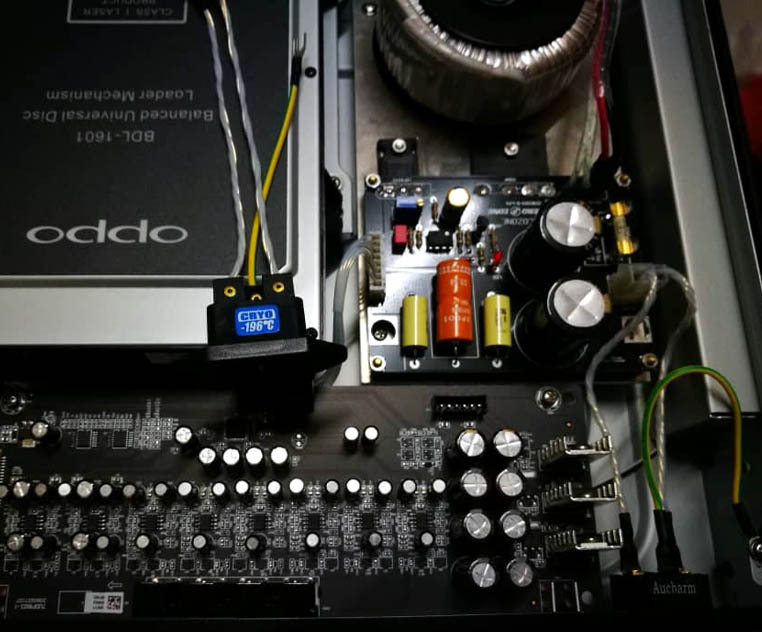 **Thus the analog audio board (7.1 channel analog output) will be disabled, this will suit the users to have the best performance from the digital in/out while not using the analog outputs. i) Oppo dedicated IEC power upgrade kit. 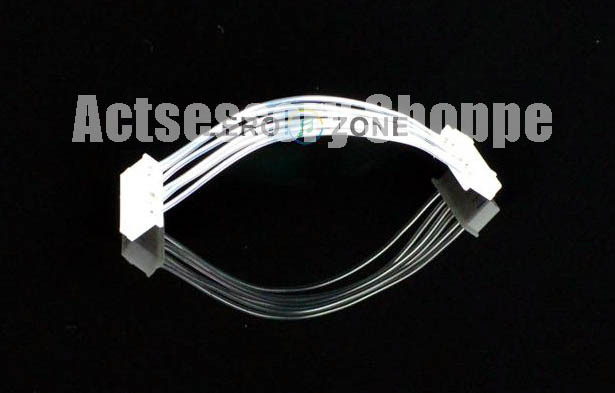 It's Pure Silver cable, not silver-plated copper. Made from Gold-plated power inlet IEC, pure silver cables. Made of silver-plated pure copper OCC cables, lead-free soldering. All these are from same owner..! With his BDP-93 upgraded with NuForce Extreme Edition sound board.